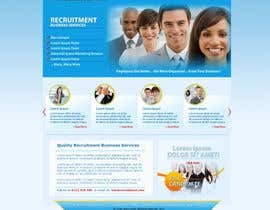 I'm looking for designs for a recruitment services website home page. 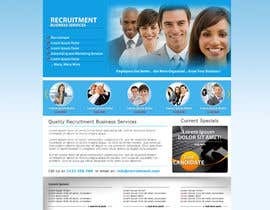 The key message for this website is that we will find the right candidate for the recruiter fast in a market where they have to trawl through many, many unsuitable CVs to reach the small handful of candidates that are of real interest to them. The design should feel light, modern, clear - much like the freelancer site feels. Your submission should be a home page design. 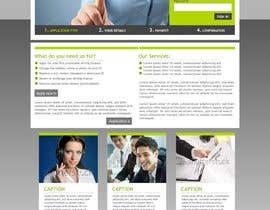 The page should include a login box, obvious link to sign-up (a 30 day free trial is available) and content communicating the key selling points of the service. Please use the freelancer logo in your design (the real one is also blue). 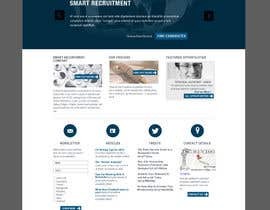 Note that this is not a contest to design a recruitment system, this is about the design of the key page to position the brand and quality to the visitor. This project is for a market test by a leading UK organisation. If successful this could lead to considerable follow on work and a very good name to add to your portfolio. Your submission should be original content and copyright of the chosen work would be transferred to the organisation I represent on payment of the contest prize to the winning designer. Thank you for your entries. I have awarded the prize to Shilpakhemka because I felt this contained the most original design thinking. Can I please hv your comments on Design #37 . When can we have your decision? Hello. #40 submitted for your review. Blue and white with green as a contrast color. Typical horizontal navigation with sub-navigation beneath. Company contact details up top as well as social media icons. 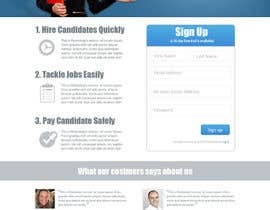 An action banner to pronounce the free trial as well as a log in, slideshow style testimonial area, 3 key content areas, and a typical footer with navigation. Hi! 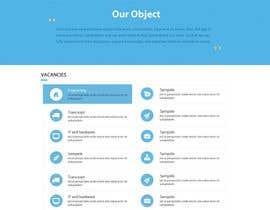 I've just submitted homepage mockup #9 . Could you please give me your valuable comments...Thank you! Hi! I've just submitted logo #9 . Could you please give me your valuable comments...Thank you! Hi, please check #8 for your comments and feedback. Thank you. 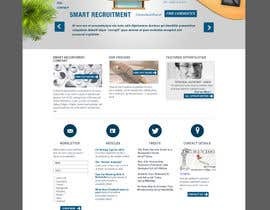 Please note that this contest is to design the home page for a recruitment site incorporating our key messages and positioning the brand. It is not to design the recruitment system itself. 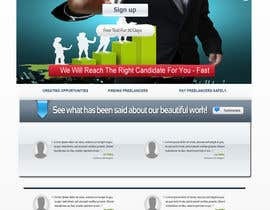 The key message is; we will reach the right candidate for you - fast. you can apply freelancer logo.